I have always wanted something that prepared me for the fall. I am not talking about gloves, hats, or even jackets. When summer hits, it scorches and torches everyone it sees, on any given day. As if with the sweep of a powerful broom, September transitions into a variation of hot weather and the expectation of chillier temperatures. Let us say the heat leaves the building. The varied breezes stay and sometimes get deep into the bones. However, I am not talking about preparing for a colder fall. Sometimes you want to take in warm, seasonal drinks, like Apple Cider. This will not take away the freeze, forever. You can attend cheerful and customary events. This is a temporary high, but a wintry coat can still make you shiver. There are times the fall is a sign to embrace a season’s other purpose and make use of the tools that feed off the season. You still shiver. You ably rub your shoulders, and hands to generate warmth. People find comfort in the different, colorful socks, and search their homes for a bevy of blankets. You realize some fear, a primal component, takes over your senses in the colder weather, at times. This made me want to write. A set of characters move through the chill and embrace an experience that becomes dangerous. Do they survive? What will matter most is that both people spent the right time together under the most brutal final act. I wrote a story Time It Right to see if I could bring the right feel, in horror, to the proper season, in those balmy moments. The story produces warmth between two characters, though their situation becomes dire quickly. This story was of interest to one Jack Rollins, and Dark Chapter Press, at http://www.darkchapterpress.com/. The rest is history. A company, on only their third publication, gathers 17 stories, all with the purpose to chill, shake, and send your mind into disaster. This amalgamation, Kill for a Copy, just works. I chose my story for the fall, but fear, horror and mayhem is year round. Every story comes from a different experience. An introduction, from one Shaun Hutson, sets the table. Jack Rollins, Stuart Keane, Fiend Gottes, and all of us establish our tales and let you put your fear in the place it belongs, in the imagination. 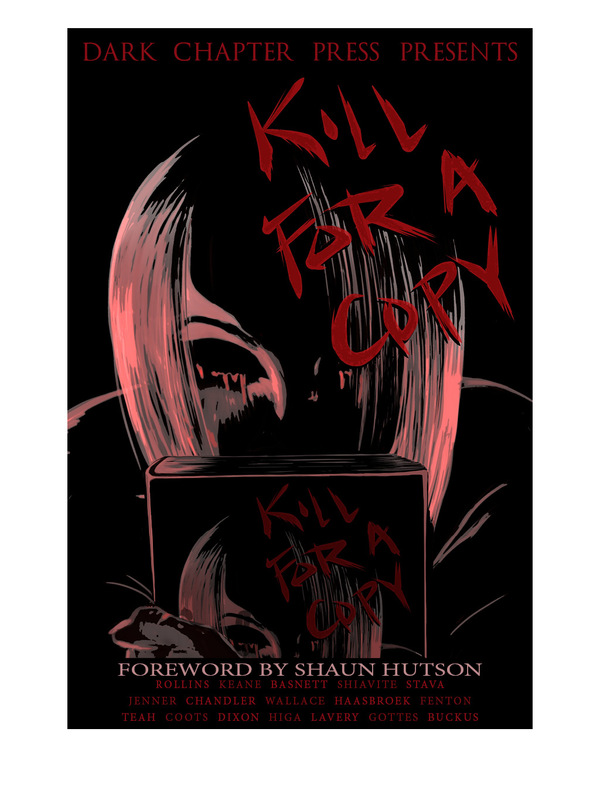 Check out Kill For A Copy, and find a place to put your dread. Boo! Kill For A Copy is currently available through Barnes and Noble, at http://www.barnesandnoble.com/w/kill-for-a-copy-jack-rollins/1122274541?ean=9780993062032 and Amazon at http://www.amazon.com/Kill-For-Copy-Jack-Rollins/dp/0993062032.